Minister of Education goes high-tech during stop at Penticton school. When Minister of Education Mike Bernier came to Penticton he was taken on a trip to space, had a brief stop on Mars and chatted with students throughout the district without leaving the classroom at KVR Middle School. It was through the use of technology that Bernier and Penticton MLA Dan Ashton were able to make such out-of-this-world trips, and it is the same technology being used to engage students in multiple subjects in School District 67. 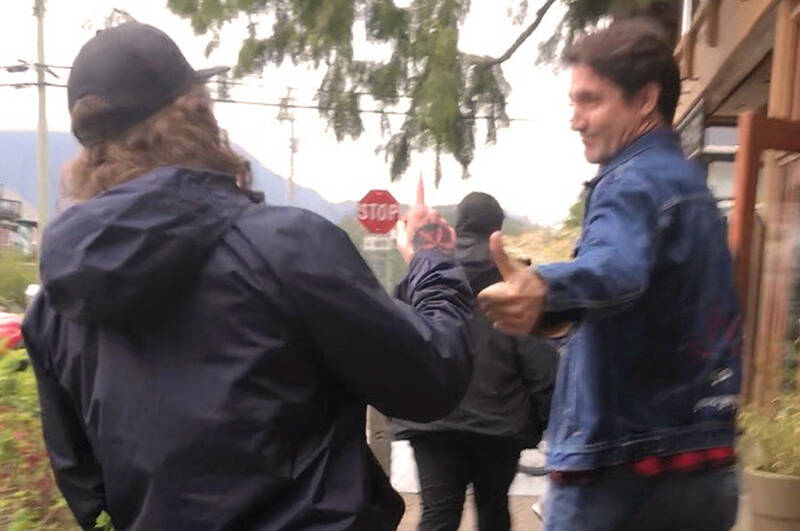 Trevor Knowlton, a teacher at Summerland Secondary School, was on hand on Dec. 11 to introduce Bernier to some of the creative ways teachers are bringing the outside world into the classroom during the minister’s tour of the school district. Knowlton showed how devices like webcams can be integrated with curriculums bringing events like live surgery to a biology class, having a Holocaust survivor chat with English students, or science students getting a chance to ask Canadian astronaut Chris Hadfield what it’s like to be in space. A video outlining a science project to get a balloon into space with an open-source, nano-satellite called ArduSat, which collects data, impressed Bernier, but not as much as one student’s commitment to the project. “When you start looking at the fact that we’re down here and start sending a balloon all the way up into the atmosphere, the biggest takeaway for me was when you have a young individual who is in elementary school way beyond where we’d ever expect him in capacity and knowledge. That’s because we’ve opened the doors for our students to be able to research what they think is exciting for them,” Bernier said. Declining enrolment projections for SD67 and closures looming may not be indicative of the entire province, Bernier said. However, with the advantages of technology in the classroom there may be openings for greater learning opportunities while facing restrictive budgets and lower enrolment. These technologies could also open up more options for courses, like a coding course currently teaching students the language of computers in SD67, without being restricted to how many students will enrol, bringing in students from across the districts with webcams. “It’s really about making sure we have the opportunities out there in using technologies. Is it practical if there are only three or four students can we offer that particular course? Maybe not, but if you have the utilization of technology to broaden out the opportunities for students. That, to me, is where we’re going,” Bernier said. SD67 superintendent Wendy Hyer agrees that the use of technology is helping students get ready for the wired-in job market of the future, but it is also shaping the teaching profession. “The style of education has changed a bit where the teacher doesn’t always have to be the expert. There are some students who actually help the teacher with things, so it’s a little bit more of reciprocal learning,” Hyer said. She said the teaching role is starting to revolve more around guiding the interests of students and opening up doors using technology, however the fast-pace tech world is not without its hurdles. “We have a lot of teachers that know a lot about technology, so they use it in the classrooms. The challenge is just staying on top of all the changes in technology and all the new software programs and innovations. It changes so rapidly,” Hyer said. As Bernier chatted through a webcam with students from across the district, one thing was clear to him, education has made great strides in the past few years. “It’s always humbling to get out into classrooms and see students that know so much more than I ever did at that age and I think that’s a success of what we’re doing in the education system,” Bernier said.